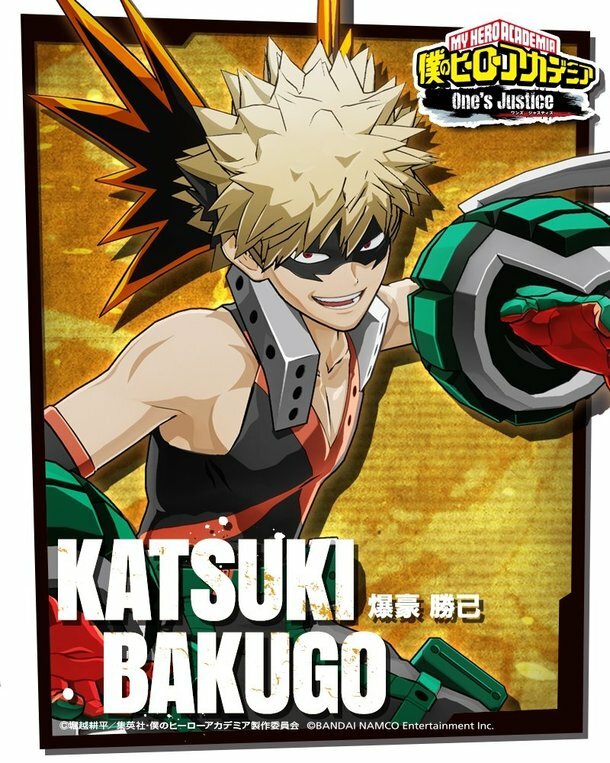 The official website for the upcoming action game My Hero Academia: One’s Justice recently revealed its third playable character, Bakugou Katsuki! Previously released teaser trailers showcased two playable characters right off the bat: the passionate Hero Midoriya Izuku and the unpredictable Villain Shigaraki Tomura. Both closing out with either the voice of Izuku or Tomura, the game makes one thing clear: players are capable of being either a hero or a villain, where justice is what they themselves make of it. Per the official website and Twitter account, joining Izuku and Tomura is hot-headed prodigy Katsuki Bakugo! Developed by Byking and published by Bandai Namco, the game will feature head-to-head battles with immersive and destructible environments, just like in the series. My Hero Academia: One’s Justice will be available on PS4, Nintendo Switch, Xbox One, and PC in North America and Europe sometime in 2018. My Hero Academia to Open Pop-Up Store in Three Cities! The video features season 2 footage upgraded with VFX! Exciting updates from Dragon Ball, Tokyo Ghoul and more at Jump Festa 2018!